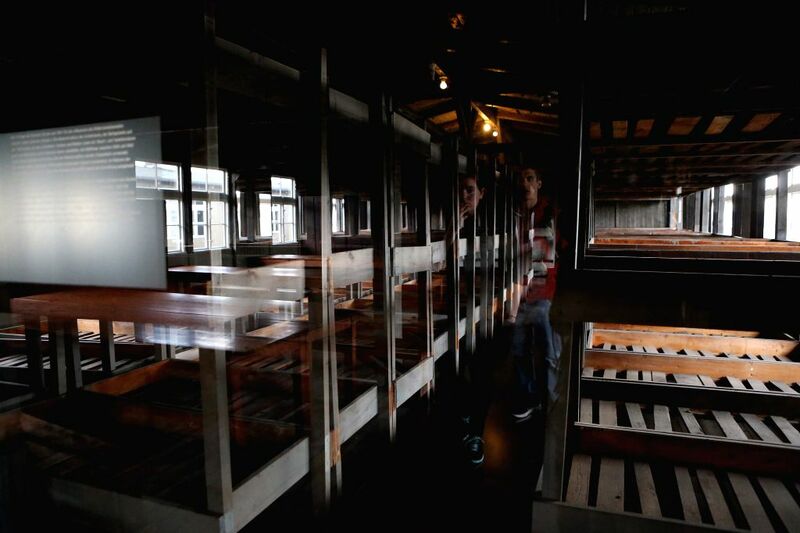 FRANKFURT (GERMANY), Sept. 1, 2014 (Xinhua) -- Visitors' image is reflected on the glass door of prison wards at the site of former Sachsenhausen Nazi concentration camp in Oranienburg, near Berlin, Germany, on Aug. 21, 2014. The Sachsenhausen Nazi concentration camp was built in Oranienburg about 35 km north of Berlin in 1936 and imprisoned about 220,000 people between 1936 and 1945. The site now served as a memorial and museum to learn about the history within the authentic surroundings, including the remnants of buildings and other relics of the camp. 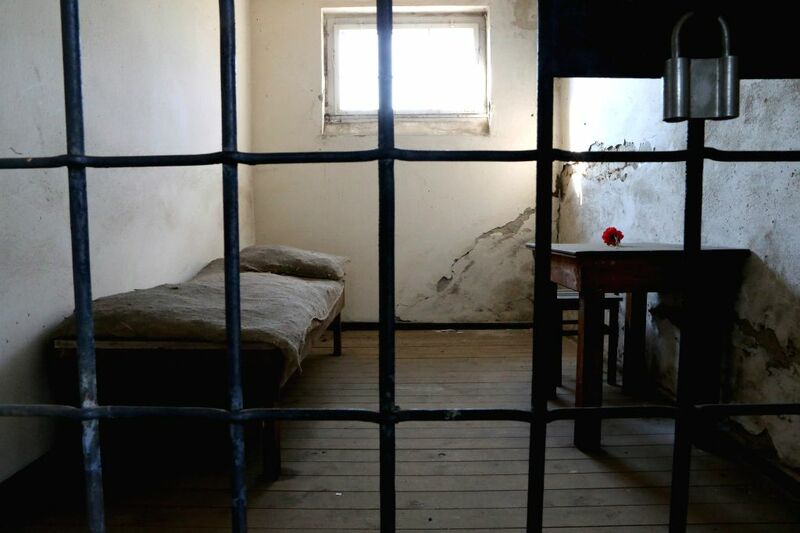 FRANKFURT (GERMANY), Sept. 1, 2014 (Xinhua) -- Photo taken on Aug. 21, 2014 shows a cell in the former Sachsenhausen Nazi concentration camp in Oranienburg, near Berlin, Germany.